3DRudder announces its feet-based VR motion controller can now be used to control movement when wearing a Samsung Gear VR. Movement is an issue in VR as the user can rapidly become nauseous when he feels he is not in control of movement. Certain games rely on automatic movement with heading being given by where the user is looking at, others on “point & click” where the user points towards where he wants to go and click to get there. Both solutions are disturbing, to say the least. The Samsung Gear VR-powered by Oculus is a great and affordable tool to convert a Samsung Galaxy phone into a VR headset. It’s now used by more than a million people and adoption continues at a rapid pace. Because it reaches everybody there is a need to address movement in a way that helps everyone to fully enjoy the VR experience. The 3Drudder controller is an intuitive and natural solution. In a matter of a few seconds, the user grasps how to move in all directions, rotate, and even fly. He feels in control. No need to know how to use a gamepad, everybody, even non-gamers, can adopt the 3DRudder controller instantly. 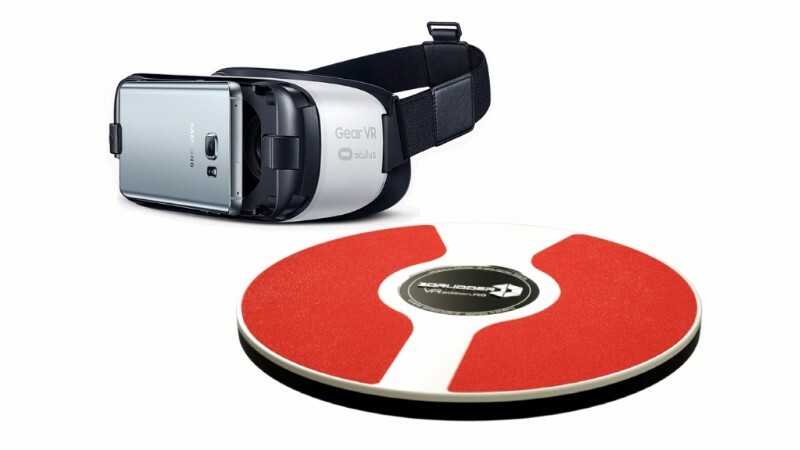 “The 3DRudder controller coupled to the Samsung Gear VR is a simple, rapid and efficient solution for exploration games or applications such as virtual tourism or virtual real estate, without having to own a full-blown VR installation.” says Stanislas Chesnais, CEO of 3DRudder. The 3DRudder controller can be used with some existing Gear VR games (ex. “VR Karts: Sprint”) and applications (ex. “The Night Cafe”) where movement is controlled either with a gamepad or with the touch control pad on the right side of the Gear VR. Developers can also take advantage of the 3DRudder and integrate it directly in their Unity3D project.